From haphazard piles of books and creaky floorboards in a charming 18th-century Chelsea building to more than 8 miles of bookshelves at Europe’s largest bookstore, London is a dream destination for book lovers. Just stepping into a new bookshop and breathing in that heady scent of books mixed with endless possibilities is enough to send this traveller into a book induced bliss. 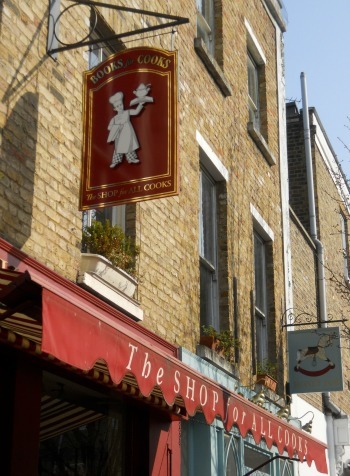 As the home of such literary greats as Charles Dickens, Oscar Wilde, Anthony Trollope, Beatrix Potter, E.M. Forster and Virginia Woolf to name just a handful, there’s something quite fitting about taking a bit of time out of your sightseeing to stop in a bookshop or two (or three …). Here are some of our favourite haunts in London … from one bibliophile to another! Just off trendy King’s Road near Sloane Square, you’ll take a step back in time when you walk through the doors of John Sandoe in Chelsea. Somehow (we think it’s magic) there are about 25,000 books on three floors of a historic 18th-century building. There are books, quite literally, in every nook and cranny. We hear there is an organizational system, but it’s so much more fun to just browse … the shelves, the chairs, the steps … there are books everywhere! 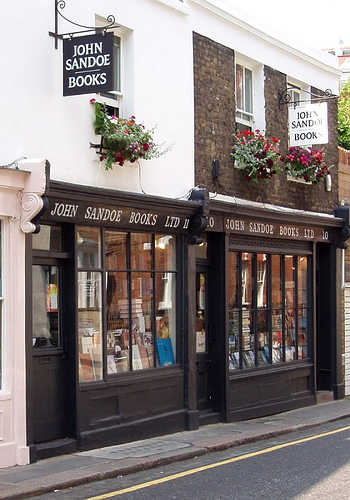 Founded in 1957, John Sandoe is a fixture in Chelsea and one of London’s most charming independent bookshops. 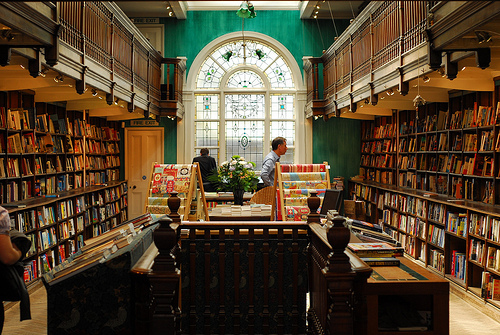 If you love books and beautiful bookshops, add Daunt Books to your London to do list. 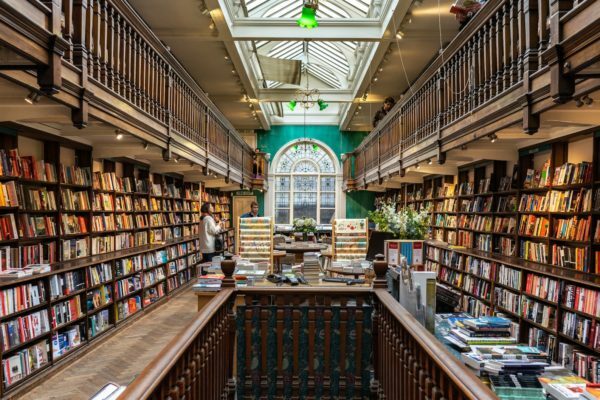 While they have several locations, you’ll want to head to the Marylebone High Street location, which is easily one of the most remarkable bookstores we have ever seen. 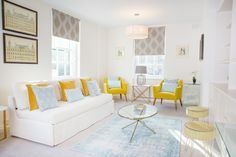 With soaring ceilings with skylights and original Edwardian interior with long oak galleries, this is the ideal historical setting for browsing for a new read. We love the huge London section at their Chelsea shop (158-164 Fulham Road), which is a great spot if you’re interested in local history or in search of just the right London guidebook. If I ever go missing, look for me at Lutyens & Rubinstein in Notting Hill. The gorgeous and whimsical decor is perfect for this unique bookstore with its special sections for children’s books, poetry and art books. You’ll find fiction and general non-fiction, too! The shop was founded in 2009 by the established literary agents (the agency is on the premises) Sarah Lutyens and Felicity Rubinstein. There’s also a delightful selection of stationary and gifts on display. From intimate to royal, the entrance to Hatchards sets a very different tone – one befitting the oldest bookshop in the United Kingdom. 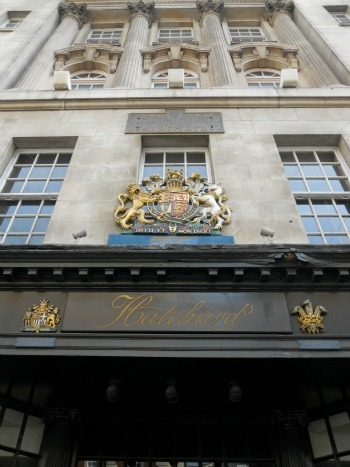 Founded in 1797 and in its current location on Piccadilly since 1817, Hatchards also boasts three Royal Warrants as suppliers of books to the Royal Household. There’s an excellent travel section with a large selection of London books. And it gets even better. If you need a bit of reinforcement while browsing, you can pop over to Fortnum & Mason right next door for tea! Foyles is a London classic, one of London’s largest independent booksellers and National Bookseller of the Year for 2012 and 2013. While there are many locations, London travellers won’t want to miss their flagship store on Charing Cross Road. There are five floors of books, a huge children’s section, a jazz music shop and great café. OK, so you’ve seen the movie Notting Hill with dishy Hugh Grant about a 99 times (to be conservative) and now you want to go see where the movie was filmed. 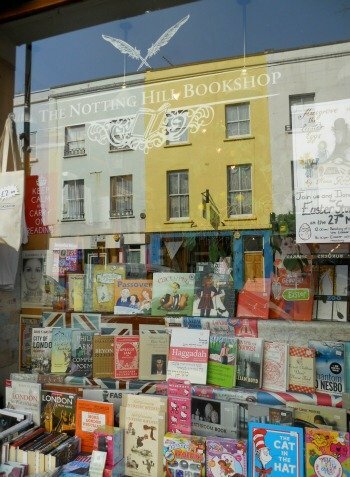 While the original Travel Bookshop, which inspired the store where Hugh Grant’s character William worked in the movie, closed in 2011, another bookshop has since opened called The Notting Hill Bookshop. Cute and colourful, this bookshop is a fun stop while exploring the Portobello Road Market. 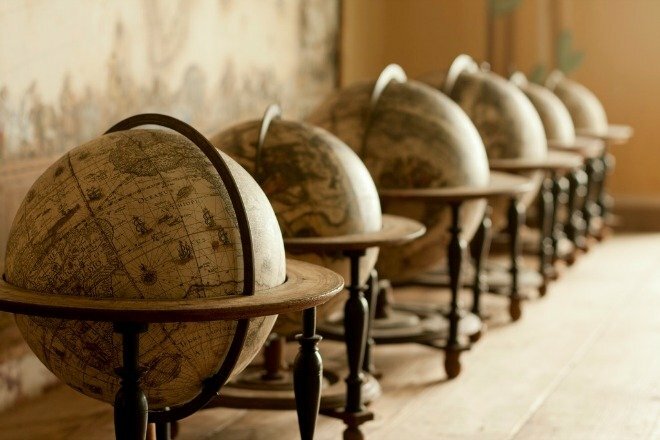 Calling all travel lovers … make a detour and head to Covent Garden to visit Stanfords! Here you’ll find a marvellous selection of travel guides, maps, travel books and accessories. This is the hub of travel inspiration in London. Lest you suppose I’m exaggerating, Stanfords really does have the world’s largest selection of maps and travel books under one roof. That roof would be their flagship store in Covent Garden, which opened in 1901. 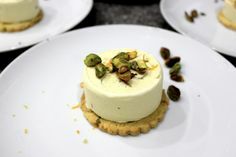 If you love cooking and collecting cookbooks then you will want to plan a visit to Books for Cooks in Notting Hill. With thousands of titles to tempt your taste buds, there’s also a cute café for a restorative tea and snack. Cooking classes are offered in the demonstration kitchen upstairs, too. 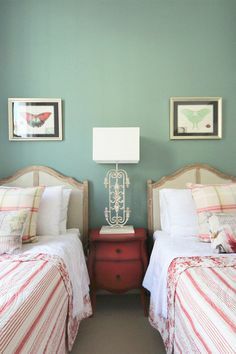 Visit their website below for all the details! PREVIOUS: David Bowie Is … at the V&A! Posted on Monday, July 1st, 2013 at 3:29 pm in Shopping. You can follow any responses to this entry through the RSS 2.0 feed. You can leave a response, or trackback from your own site.